to create a road sign post. 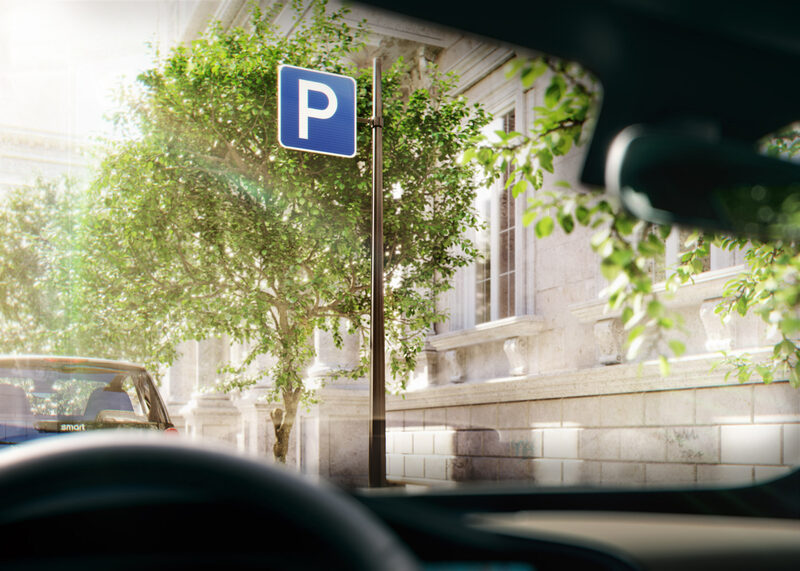 In centers of European cities, and now in Moscow, it is customary to install small road signs: they don’t interfere with the beauty of the surroundings and remain visible on narrow historic streets. 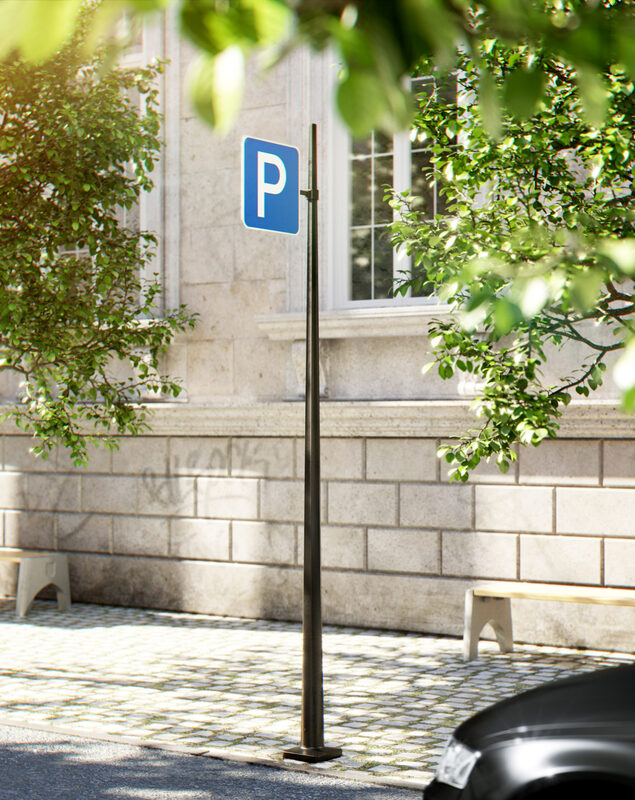 Stolbus-1, an incredibly beautiful post for small signs, was created at the studio. 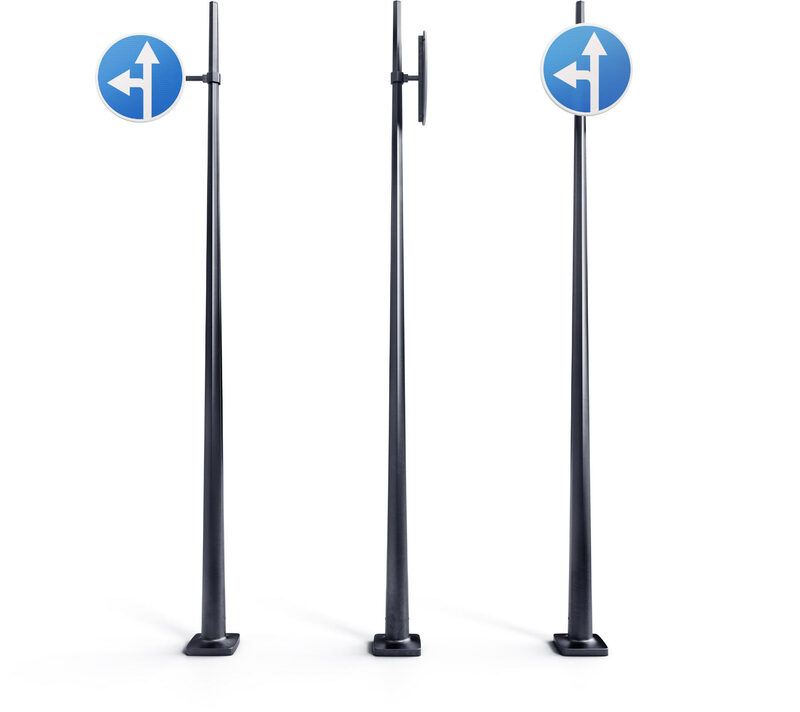 The main feature of the new sign posts is the varying section shape which is both functional and visually attractive. The post is round at the bottom to make it easy to clean. In the middle, around the eye level of pedestrians, it has the shape of a hexagon with concave sides which makes the surface look unusual and ensures attaching ads and posters becomes more difficult. At the top, the post is shaped as a regular hexagon, providing secure fastening for road signs. Stolbus posts maintain the aesthetics of historic architecture but at the same time have the modern smooth shape. The posts are made of cast iron as cast iron posts have usually been used to decorate old cities. The varying shape of the section creates unique light effects.